Foundation President Juliette E. Lippman and Executive Director Donny MacKenzie will travel to Washington, D.C., April 9-11, with a delegation from Florida for ABA Day. They will meet with Florida members of Congress to ask for their support of continued funding for Legal Services Corporation (LSC). 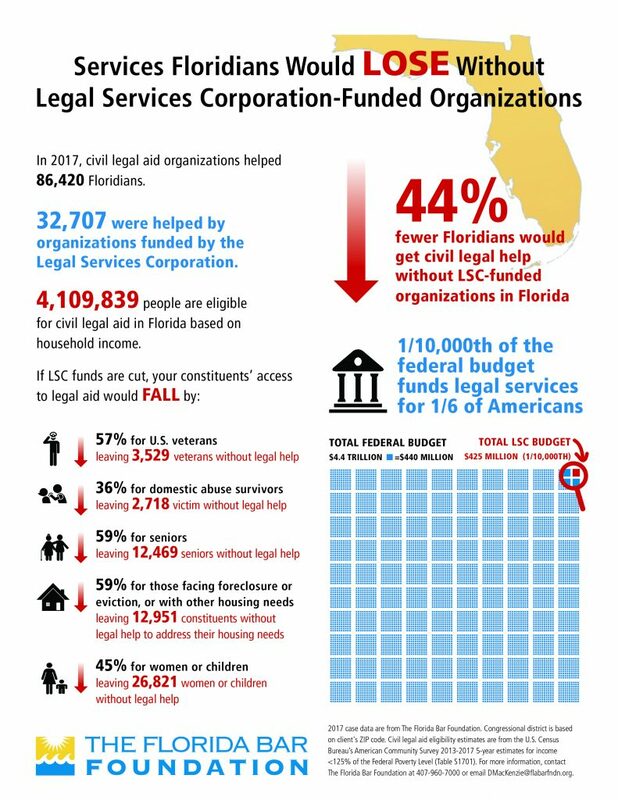 LSC “ensures ‘Equal Justice Under Law’ by enabling access to the justice system for vulnerable Americans.” In 2017, 32,707 Floridians were helped by organizations funded by LSC. More than 4 million Floridians are eligible for civil legal aid in Florida based on household income. The president has called for elimination of LSC. 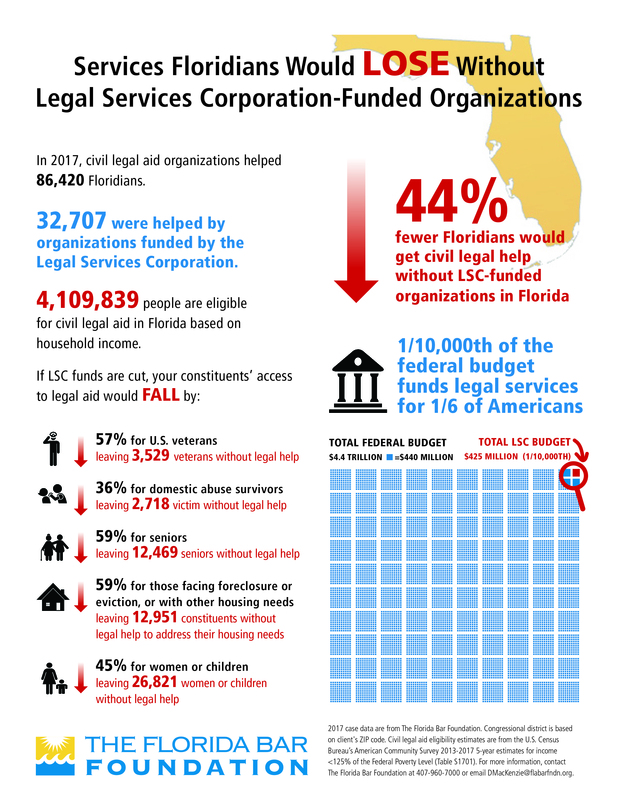 If LSC funds are cut, 44% fewer Floridians would get civil legal help. Just 1/10,000 of the federal budget funds legal services for 1/6 of Americans. How would your district fare if LSC funds were cut? Click here to find out. Does your representative support LSC funding? Click here to find out. More resources related to LSC funding.